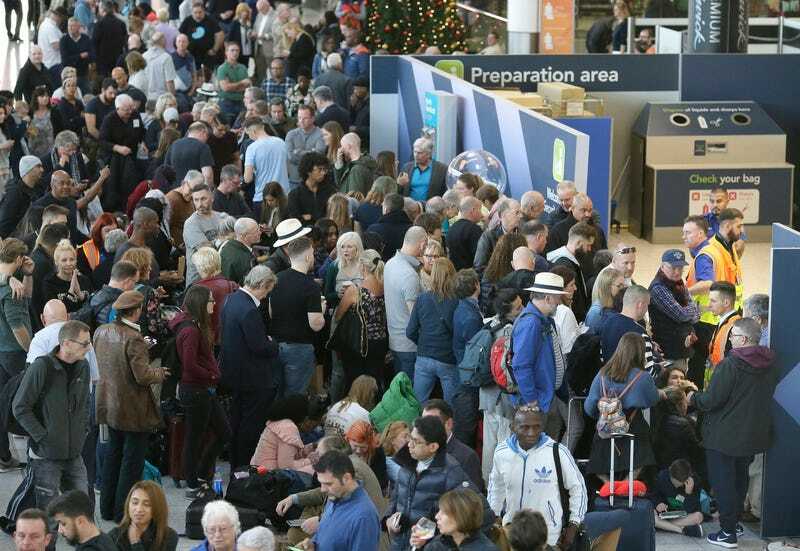 Flights have resumed at London’s Gatwick Airport after a full day of cancellations yesterday due to a mysterious drone that was spotted repeatedly in the area. Flying drones near an airport is illegal because flights are unable to take off and land due to possible collisions. The military was even called out to search for the drone operator, but they still have no idea who’s behind this deliberate disruption of a major transportation hub. New electronic jammers and police snipers armed with Heckler &amp; Koch rifles also form part of the defenses to stop the rogue drone operators threatening the airport again. Britain has been a leader in using electronic jamming systems — particularly in detecting and taking out improvised explosive devices — in Afghanistan. Despite the fact that flights have resumed, there are still significant delays and cancellations at Gatwick. As of 12:20pm, 91 of 412 scheduled arrivals to Gatwick have already been cancelled and 64 of 371 departures to Gatwick have taken place. Authorities are encouraged by the fact that there hasn’t been a drone sighting since before 10:00pm last night. “We have made a lot of progress overnight, obviously working hard with our partners and other forces and the airport authority,” Sussex Police official Steve Barry told the Evening Standard.